As your Public Adjuster in Lansdale we are committed to negotiating a fair and maximum claim settlement for homeowners and business owners alike when a loss occurs. 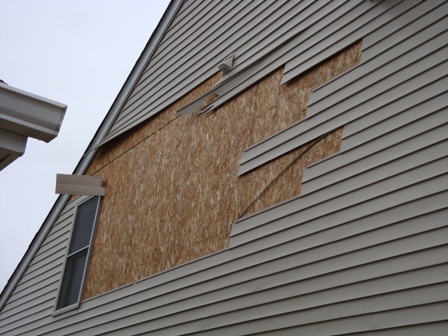 A public adjuster handles claims arising from wind, water, fire, and smoke damage. We represent you, the policyholder, during this difficult time by filing the claim on your behalf, preparing a detailed estimate, and negotiating the maximum settlement. We strive to help our clients see through the difficult and timely process of filing and handling an insurance claim. Without guidance of a professional, you will not fully know what you may be entitled to. Area Public Adjusters insists, “Knowledge is leverage, know your rights.” Contact our Public Adjuster in Montgomery County for a free consultation. As a Public Adjuster in Lansdale we serve the entire community and surrounding areas. In addition, we can discuss whether or not a claim may or may not be covered. Whether you have a new claim, existing claim, or if your claim has been denied our team can help. Insurance companies have adjusters working on their side, so should you! Call Area Pubic Adjusters immediately. Don’t move or discard any damaged goods. Protect your property from further damage. Move undamaged goods to safe place. Keep the area untouched, unless photos or video are taken. Take a visual inventory of the damaged property. Don’t sign any documents from “curious bystanders” at the scene.